Michael Doret - "Computers don't aid to the design process"
Since starting Creative Chair we’ve been privileged enough to speak to some of the world’s most innovative and successful young designers and creatives but today I’m honoured to be talking to Michael Doret, an artist who has been designing since an Apple Macintosh was a rain coat with a picture of an apple on it. Michael Doret is responsible for some of the world’s most iconic and well-known designs including the New York Knicks logo, the 1976 KISS album Rock and Roll Over and more recently the smash hit computer-animated Disney film Wreck-it-Ralph. Michael Doret’s style is highly unique, and much of his work has proven to be timeless so I wanted to find out a little bit more about the man behind the art. What first attracted you to the creative industry? If I had ever been thinking of a career in another field, this would be a question that I could honestly answer. But for as long as I can remember there was never a question in my mind that I would do anything with myself other than something in the visual arts. So what can I say other than that I’ve always had a predisposition to being an artist. 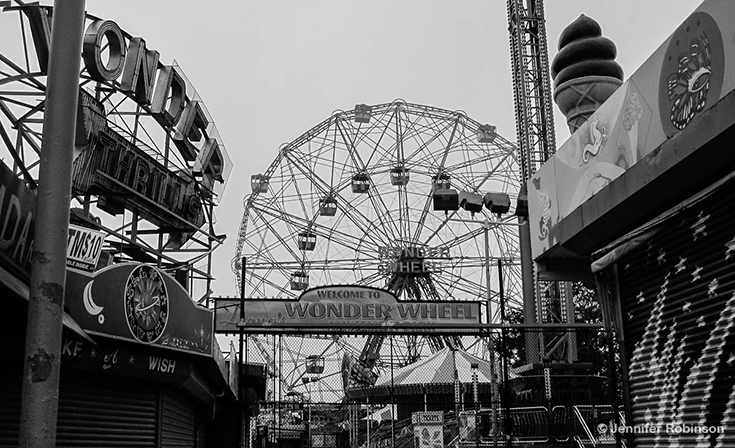 I grew up in Brooklyn, NY near Coney Island. My dad worked in Times Square in Manhattan, where I would frequently visit him at his office at MGM. For some reason, all the sights and sounds of those two iconic American places formed deep and lasting impressions with me that eventually percolated through my mind and ended up one way or another in almost all the work I do. Is there anybody in particular that that was instrumental in your creative development? Yes, absolutely: my high school art teacher Sol Schwartz, who I am still in contact with. He found me at a particularly sensitive time in my life, and saw some potential in me. He took me under his wing, and helped me channel whatever creativity he saw. He convinced my parents that I’d have much more success if I was permitted to follow my inclinations to be an artist rather than by studying Law. 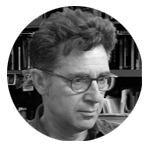 He shepherded me through high school and helped me get into my #1 choice for higher learning—The Cooper Union. Without him there believing in me, I don’t know where I’d be now. There are many, many projects I’ve done that I’ve considered benchmarks in my career. 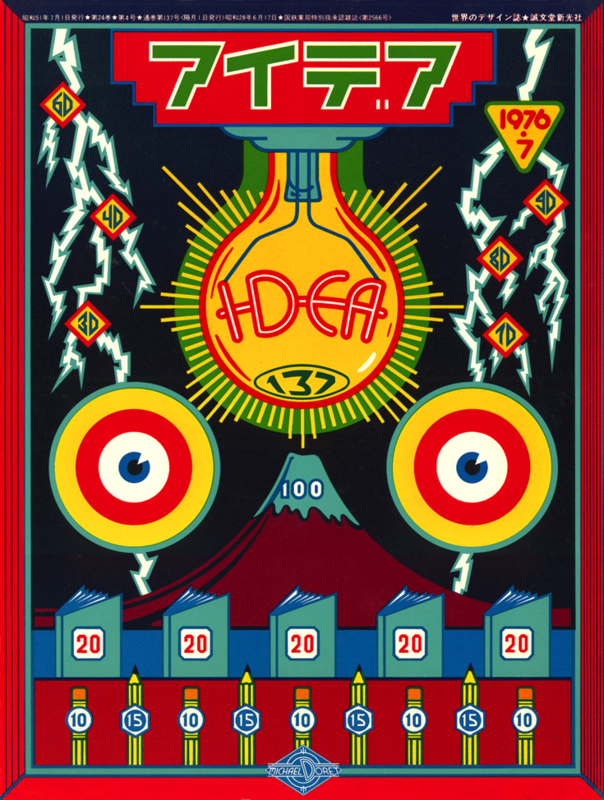 Early on there was the cover I did for the Japanese graphics magazine “Idea”. They wanted to do a feature on my work, and I asked if I could create the cover for that issue. Calling on my love for tin toys, arcade games, and Coney Island I created a cover that I still think holds up today. 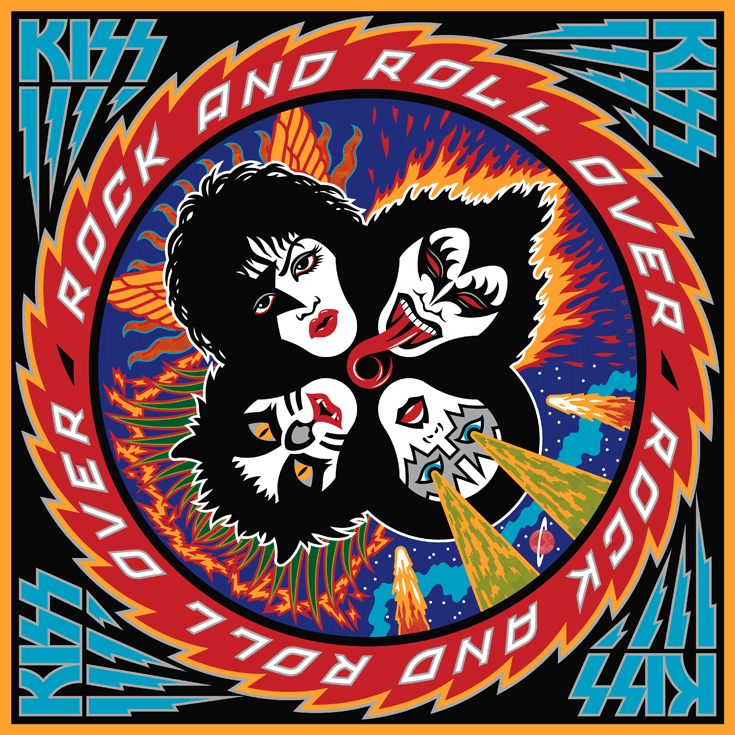 That cover led me to create something similar when I was asked to design a record sleeve for the rock group KISS. 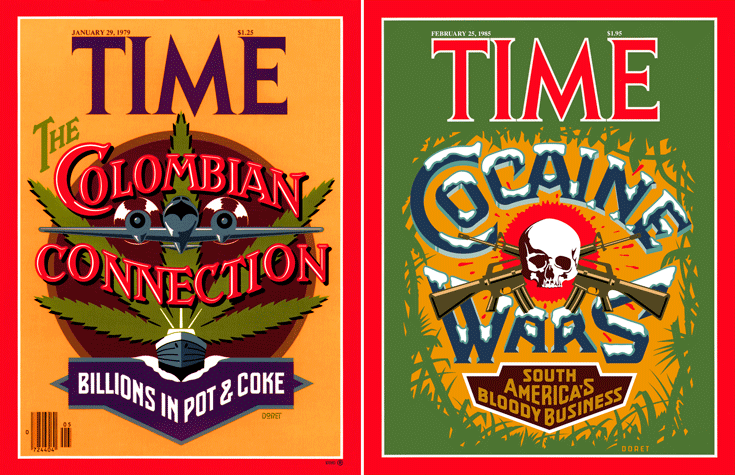 A few years later I started doing a lot of work for TIME Magazine including many pieces of cover art. I’m quite proud of those because, up until that point, I don’t think they’d ever had covers like the ones I did for them. 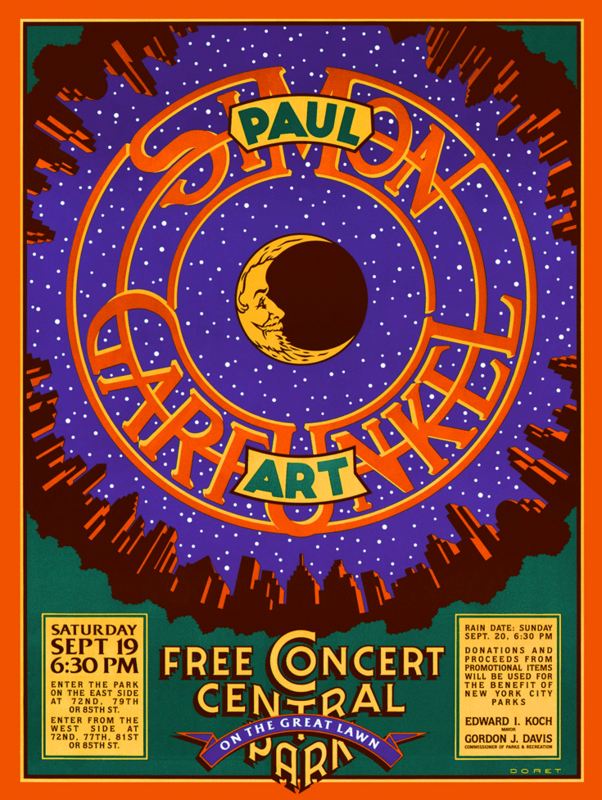 The poster I designed for Simon & Garfunkel’s Free Concert in Central Park will always be one of my favourites because I drew so much of my inspiration for that piece from my own childhood. 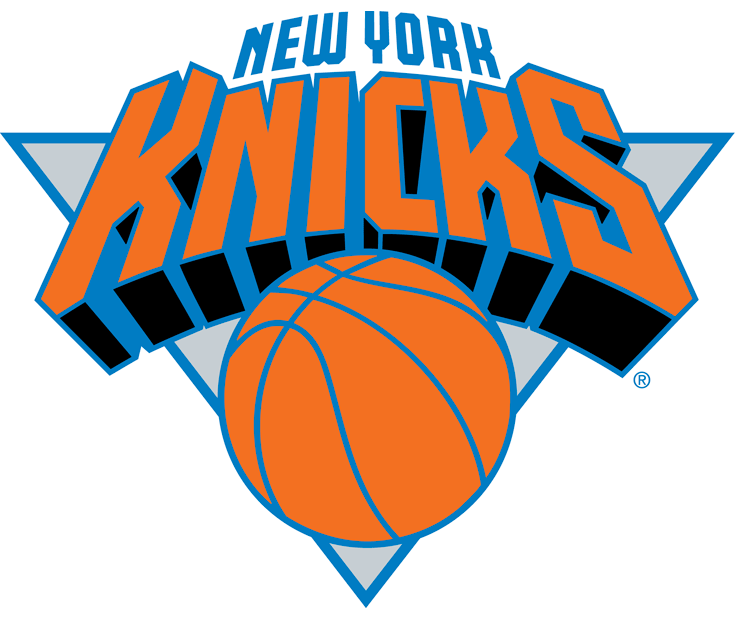 I did a lot of work for the National Basketball Association, but the one piece that everyone remembers from what I did for them was the logo I designed for the NY Knicks. 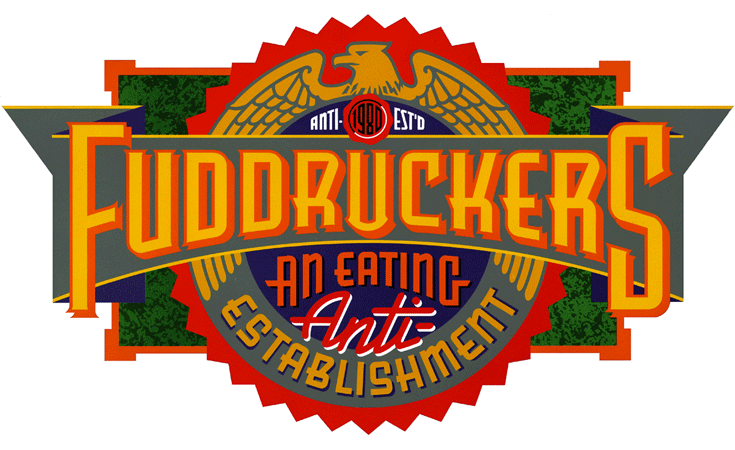 People also remember the logo I designed for the US food chain Fuddruckers—although somehow what I did for them got changed and ruined . . . but when asked, I only show the original design I did. That one has been copied and imitated many times. During the last 10 years or so I’ve channelled a lot of my energy into designing my own unique fonts, and am quite proud of all of them—especially Dynatype and Dynascript. I’m currently working on a unique new blackletter style that I hope to release before the summer. Do you think it’s important always to begin on paper? For me, yes. But I wouldn’t suggest that it’s important for others, because everybody needs to find their own path to creativity. I need to be able to sketch out ideas in very rough form before honing in on what I want to do and, for me, trying to do that on the computer feels very awkward. Perhaps some can do that on their Macs, but I can’t. I think the important thing is to be able to visualize various ideas before committing to one. If you can do that without sketching on paper, then who am I to say that it’s incorrect? When did you first start using computers to aid in the design process? Computers (for me) are not an aid to the design process. They are tools which help to facilitate the realization of one’s ideas—but they are no more than that: tools. Design is a discipline completely that is uniquely “human”. Computers are dumb in that they do only what you tell them to. They can certainly render bad design beautifully, making it look very slick. But make no mistake: bad design rendered well is still bad design. Many people still ask me “what application do you use to create your work?”, as if using that same application will help them towards successful design. It’s the wrong question—they should be asking “what is the process by which you are able to create one of your designs?”. 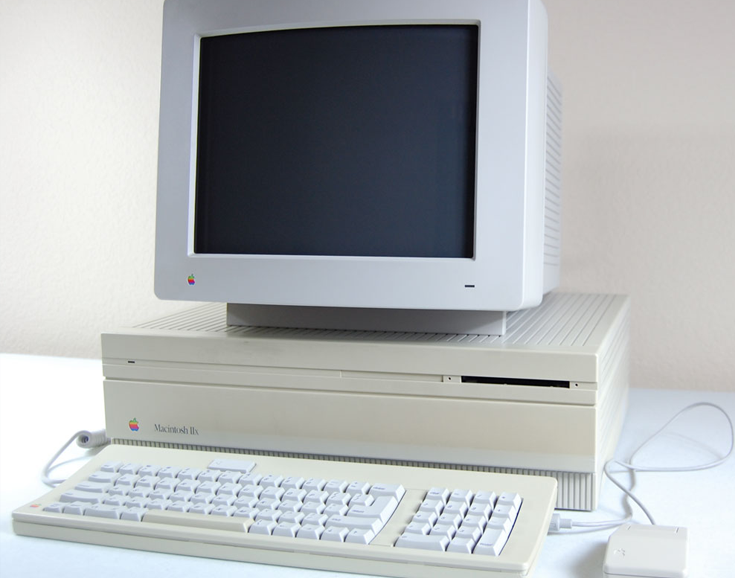 All that notwithstanding, I started using a Mac in 1995. I took an Adobe Illustrator weekend seminar at the American Film Institute, and quickly took to it like a fish to water. I discovered that the transition from analogue to digital tools was quite natural for me, as Illustrator enabled me to create finished art that very closely resembled what I had already been doing for years. Most people cannot tell from looking at my work which pieces were pre-digital and which post-digital. The logo for the New York Knicks hasn’t changed much since your design was adopted in 1992. How important do you think it is for design to be timeless? Good design by its very nature should be timeless. There’s a long story behind the creation of the Knicks logo (which has been covered recently by several other blogs), but suffice it to say that with this—as with any project I take on—I’ll always endeavour to do the best design work I’m capable of. As one cannot (and should not) try to infuse a personal “style” into one’s work, I don’t believe that one should try to create work that’s “timeless”. It is probably impossible to intentionally achieve as a goal, because the qualities that make something timeless are quite elusive. 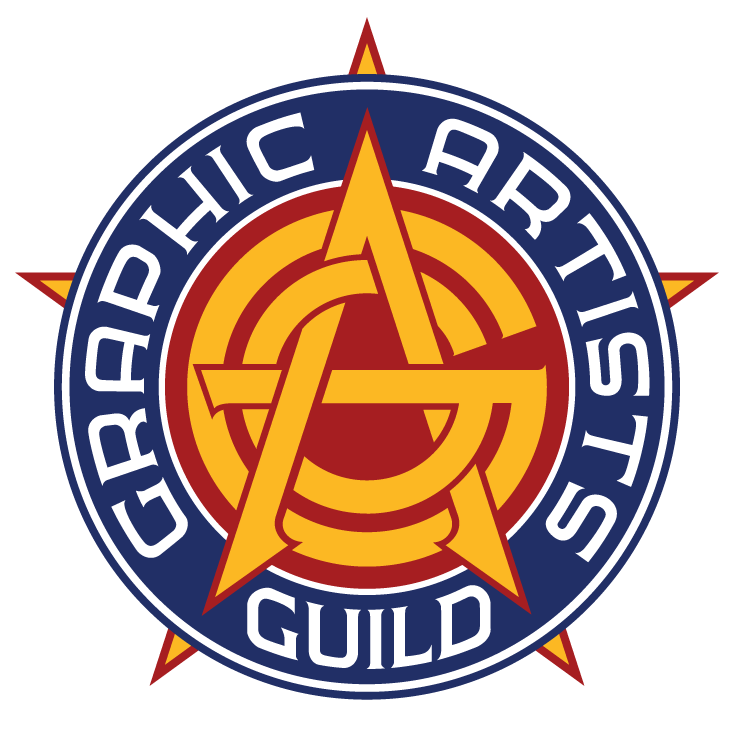 Like the Knicks logo, there’s an identity I designed for the Graphic Artists Guild—a group which I wholeheartedly support—which is still in use decades after I designed it. I couldn’t possibly have known when I did it that it would be in use for so many years, but I think it has lasted this long due to several factors, including its adaptability, its easy recognition factor, and its unique design qualities. But these are all qualities a good designer should strive for anyway. 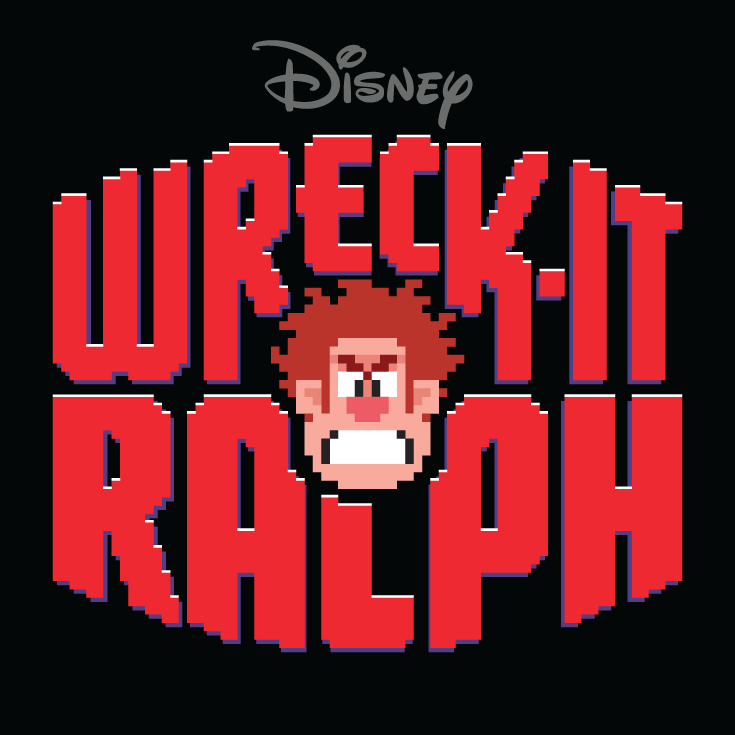 When designing the logo for the Disney film Wreck-It Ralph, what was your inspiration and how long did it take? When I first got this assignment there was very little of the film to look at for inspiration, so I looked at a ton of ’70s arcade game graphics, to get a feel for where to go with this. But I honestly cannot say that it was any one thing that served as my inspiration. I did many, many different designs before hitting on the one design that resonated with the Disney people. We worked together for a couple of months on this before my designs were honed down to the one logo that was used. I think the film was wonderful, and I enjoyed it a lot. I think Disney Animation has just a little bit further to go before they’re absolutely on par with Pixar—whose films I think are virtually flawless. But they’re awfully close! And finally, if you died and were re-incarnated as a song, what would that song be? That’s not really a question I can answer the way you’d probably like me to. However, I’ll name a couple of songs that I think are reflective of the time and place in which I grew up—Brooklyn in the 1950s—a time and place whose influence on me and my work has been pervasive, and is still at work. Michael Doret is the 4th winner of our 366 awards.